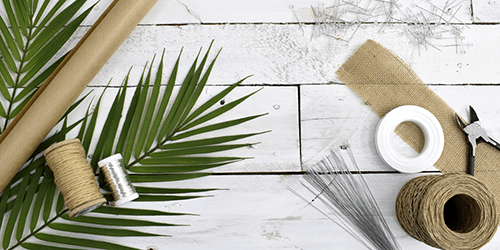 Welcome to Inspirations Wholesale, your number one source for all things Christmas, homewares and florist supplies. We are dedicated to providing a diverse range of unique items, with a focus on quality products and exceptional customer service. Starting out as a small family business in Bromborough on the Wirral in 1990, we now occupy a 27,000 sq. foot warehouse. Our aim is to continue providing our customers with innovative products from all around the globe. We follow the latest trends in homewares, interior design and Christmas decorations to ensure that we stock a new and varied range of products with each season. Our homewares, interior accessories and decorations for indoors and out are excellent for your home but also as commercial supplies for a range of requirements such as hotels, restaurants, pubs, bars, cafes, offices, events, interior designers and more. We hope you enjoy our products as much as we enjoy making them available to you. If you have any questions or comments, please don't hesitate to contact us. Here at Inspirations Wholesale we stock an extensive range of stunning Christmas decorations to suit a variety of themes. Find top quality real-look artificial Christmas trees, whether you are looking for a compact 5ft to an impressive 15ft tree, there are plenty of options to choose from. Then we have all the Christmas lights, beautiful baubles, hanging decorations and accessories to complete your festive look. Our carefully selected products provide you with best and latest Christmas decorations at great prices. We can supply any quantity you need, from single items to bulk orders for large events, retail stores, restaurants, hotels, commercial groups or offices. If you are looking for a unified look across your business, then we can help with our bespoke Christmas decoration service. Simply give us a call to discuss your requirements. Achieving a stylish, on-trend and cohesive interior look means getting the furniture and decorative accessories just right. As well as functional homewares, such as wall clocks, speakers, vases, baskets and storage solutions, we also have gorgeous wall art and decorative accessories for those finishing touches. Whether you are an interior designer looking for the perfect textured cushion to compliment a sofa, seeking out innovative contract furniture for your commercial space, or hunting for that on-trend coffee table to complete your own living room, there are fantastic homeware items on offer in a variety of contemporary styles and materials at Inspirations Wholesale. Our fabulous artificial trees, plants and flowers are so life-like that it's hard to tell the difference. We are very proud to offer such a large and superior quality selection. 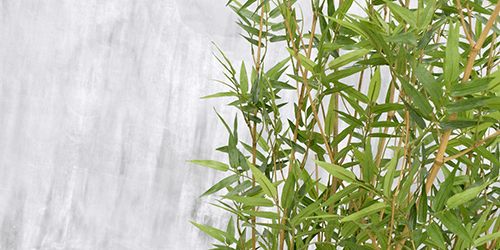 Find all sorts of realistic artificial trees including Ficus and Boxwood to Bamboo and Japanese Maple, in a variety of sizes. Adding a stunning natural looking faux tree will immediately lift and energise a room or commercial space, while being low maintenance and durable. The artificial flowers are truly gorgeous and make wonderful decorative accessories in a wide range of spaces including reception desks, hotel rooms, restaurant and cafe tables, centrepieces at wedding, corporate events, window displays and even in your own home. Choose from a variety of flower types including roses, lilies, hydrangeas, orchids and exotic blooms. We can even help to create bespoke artificial flower arrangements for weddings or for corporate spaces or events. 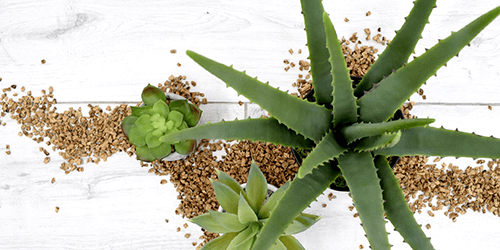 Alongside the artificial trees and flowers, we also stock a selection of artificial foliage, succulents and plants. So, whichever look you are hunting for, Inspirations Wholesale have the perfect solution. 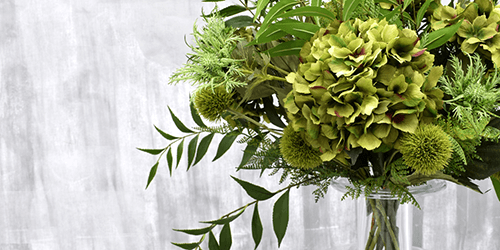 As floristry suppliers, every essential item that you need is catered for among our extensive choice. We have everything including floristry scissors, wire cutters and secateurs to provide accurate cutting for flower stems and supporting wires. Should you need a fresh new set of snips and scissors, now's the time to order from our comprehensive selection. To create the perfect floral arrangement, you'll also find a selection of floral foam in all shapes and sizes. Oasis floral foam is chosen by professional florists all over the world for its ease of use and ability to help them create stunning arrangements. Give your beautiful arrangements the proper finishing touch with floristry accessories designed for the most professional of displays. We stock a huge selection of Oasis floristry products among many of our ranges here - an incredibly popular brand that we know you love to include in your floristry stores and displays. Filling the air with a lovely scent or using flickering candles can really help to create atmosphere and set a scene. Discover the wonderful range of candles and home fragrance from popular brands including Bolsius, WoodWick, Made By Zen and Lily Flame. 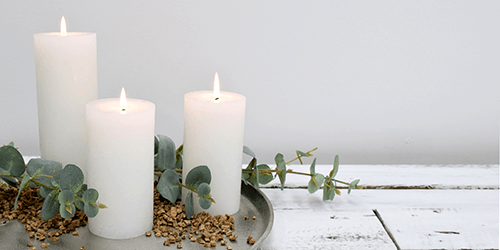 There are classic church candles for weddings, romantic tealights for dining tables, aroma diffusers and even battery-operated wax candles. 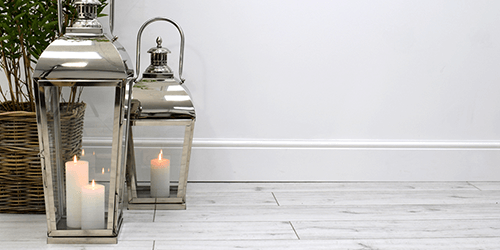 Whether you need one or hundreds we are happy to provide candles and home fragrance for commercial supplies or simply as an interior accessory for your own home. 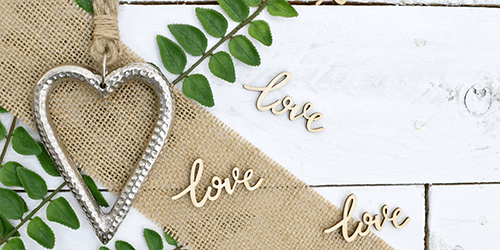 For the big day, our wedding supplies range offers all sorts of decorative pieces and finishing touches for a wonderful wedding look. Hang up bunting and signs to direct guests to the reception, scatter rose petals or create stunning centrepieces for the tables, and display guest books or have photo booth props at the ready to create a memorable day. We also stock a range of other event supplies suitable for special occasions such as baby showers. Alongside our extensive range of stock, we also offer services including bespoke artificial flower arrangements for weddings and corporate requirements. Our real look artificial flowers are the perfect option if you have allergies, need a long-lasting arrangement, looking for a low maintenance option or need something out of season. Our specialist team can create stunning arrangements to suit your requirements! Read more about our services and check out some examples of our artificial wedding flowers here and our artificial corporate arrangements here. For Christmas we can help you to create a bespoke, unified Christmas look across your offices, restaurants, pubs, hotels or branches. Our bespoke commercial Christmas decoration service will be completely tailored to your needs and requirements. We can work with you to design a theme or match your brand, source the items, pack and distribute the decorations to each location and provide installation instruction and guidance for creating your bespoke festive look. We also offer product sourcing. This service is just the ticket if you have a requirement for a large quantity or a specific item. Perhaps you are arranging a photo shoot or film set? We have helped many customers to get just the right items for their needs. Looking for contract furniture? We can help with this too! We have a fantastic range of super durable outdoor and indoor commercial furniture that will add style and comfort to your business. 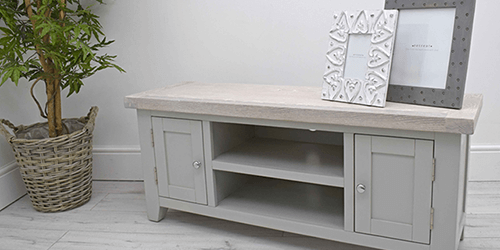 Whether you are a cafe or a shop, pub or a spa, we have a selection of contract standard furniture at great prices. Explore our innovative range of bar and restaurant tables here. So, whether you are planning a wedding, decorating your home, running a restaurant, hotel, business or organising an event - we are here to help! Read more about our services here, browse our website to view our wonderful product range or pop in to visit us at our store in Bromborough, Wirral.